Mark Lanegan is a performer of such striking gravitas that I am certain he could stand at a microphone and read from a Betty Crocker cookbook and it would be compelling. 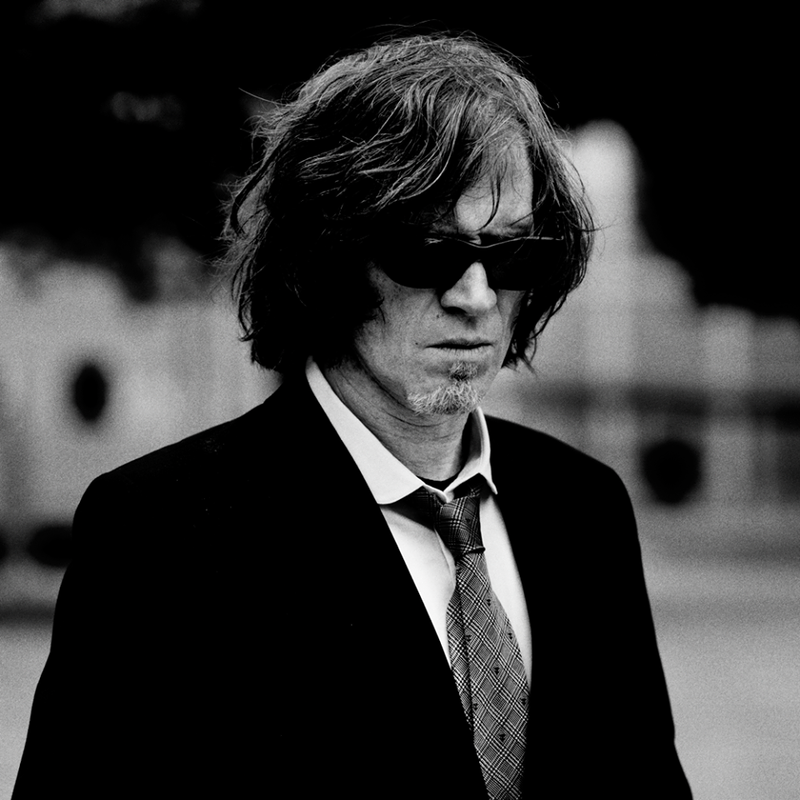 Blessed with a baritone voice of unburnished gold, a natural sense of timing with regard to his vocal phrasing that cannot be taught or learned, and the soul of “a poet who died in the gutter” (to borrow a phrase from Bob Dylan), Lanegan exudes an ageless cool even the most contrarian breed of hipster cannot deny. As he stands at the threshold of his fiftieth birthday, he refuses to partake in any talk of Grunge revivalism or reunion tours with any of his former bands, most famously Seattle’s own Screaming Trees, but also Queens Of the Stone Age and the Gutter Twins (a collaboration with Greg Dulli of the Afghan Whigs). On the heels of 2013’s Imitations, a cover album which found Lanegan interpreting standards such as “Autumn Leaves” and “Mack the Knife,” as well as more modern chestnuts by the likes of Neil Sedaka and Nick Cave, Mark has returned this year with a brand new album of original material, Phantom Radio. He is supporting the album with a tour that graced Seattle’s Neptune Theatre on October 29th. Phantom Radio is a solid effort in terms of songwriting and musicianship, featuring many notable contributions from Alain Johannes (who also produced the record) on guitar. Much has been made of the drums on the album, which are mostly electronic by way of an iPhone app called Funkbox. Upon first listen I was admittedly disappointed with many of the electronic drum beats on Phantom Radio, but the songs, performed live with a topnotch, in the flesh drummer gave them a sense of dynamics and excitement that I felt was lacking on the recording. The set started with “The Gravedigger’s Song,” the principle single from Lanegan’s critically-acclaimed 2012 effort, Blues Funeral. The pounding, insistent drums and textural guitar work of Jeff Fielder provided the perfect sonic envelope for Mark’s lyrical themes of love, torture, and death. The band then launched into “Harvest Home,” the first of six songs they would play that evening from Phantom Radio. The slightly gothic-tinged music and spirited performance from the band made this number an early highlight of the concert. The same may be said for “One Way Street,” the gritty ballad that serves as the first track from 2001’s masterpiece, Field Songs. Lanegan’s rendering of a ballad has a unique quality of achieving heart-wrenching drama without a lot of overwrought hand-wringing, using understatement as his biggest ally in the tradition of another celebrated baritone, Frank Sinatra. Nowhere in the set was this quality more apparent than on the beautiful “Resurrection Song,” on which Lanegan explores the upper reaches (relatively speaking) of his vocal range supported only by the sparest of guitar accompaniment. The second half of the Mark Lanegan Band’s set saw the debut of two more songs from Phantom Radio: “Floor of the Ocean” and “Waltzing in Blue.” The former is a synth-driven soundscape with a bit of a New Order tinge to it. The latter, not technically a waltz despite the title, maintained the synthesizer-based instrumentation to a more somber, contemplative effect. Mark then paid homage to a band he has cited as one of his biggest influences, the Leaving Trains, with a cover version of their song “Creeping Coastline of Lights.” While glancing in the rear view mirror at his distant musical past, Lanegan also worked in the lone Screaming Trees song of the evening “Black Rose Way.” The band then favored the audience with five encore songs, three of which (“Judgment Time,” “The Wild People,” and “I Am the Wolf”) were new compositions from Phantom Radio. The evening concluded with the dark, noise-rock catharsis of “Methamphetamine Blues,” a standout track from Lanegan’s 2004 album, Bubblegum. He then bade the crowd a barely audible “goodnight” – the first time all evening the singer had spoken to them – except briefly to introduce his band. Yet no one in the audience could have mistaken Mark Lanegan’s between-song stoicism for rudeness or aloofness. It is simply a part of his mystique. And after nine studio albums under his own name, as well as numerous successful bands and collaborations, it is a well-deserved mystique that continues to grow with each new musical offering. Written by: BBS on 11/17/2014.on 11/16/2014. This entry was tagged ira leonard, mark lanegan. Bookmark the permalink.